One of the biggest truths about life I've learned in New York City is that performers on public transit are cool at first, but grow old really quickly. The words "It's showtime!" on a commute go from a joyful phrase followed by a break dancing routine to an alert meaning you need to switch to the next subway car as soon as possible. Some of the passengers who were on board when Macklemore and Ryan Lewis gave a surprise performance on a bus seemed to have just that mindset before realizing who they were dealing with. Macklemore and Ryan Lewis teamed up with the Grammy Awards' "Music Unleashes Us" campaign and gave riders of NYC's BX6 bus an unexpected performance of their hit "Can't Hold Us." When Ryan Lewis presses play on his boombox, a few commuters can be seen with looks that say, "Ughhh, really? Is this even allowed on here?" Soon some people start realizing who they're watching and immediately bust out their own cameras. Others seem to just know that it must be someone famous and dance to the music all the same. The bus driver even claps along which is not the safest thing, but I guess the music was just unleashed too intensely. The best part comes when Macklemore and Ryan Lewis exit the bus and a girl who is about to board looks around clearly confused about what she just missed. According to the official Grammy website, the "Music Unleashes Us" campaign "taps into the insight that human beings have natural, sometimes uncontrollable, visceral reactions to music. Laughing, crying, screaming or dancing — 'Music Unleashes Us.'" Looks like they really proved their point in this case. Or people just wanted to take pictures so they could brag to their friends that Macklemore was on their bus. One or the other. The duo will perform on an actual stage at the Grammys on Jan. 27. They are nominated for seven awards including Song of the Year for "Same Love" and Album of the Year for "The Heist." 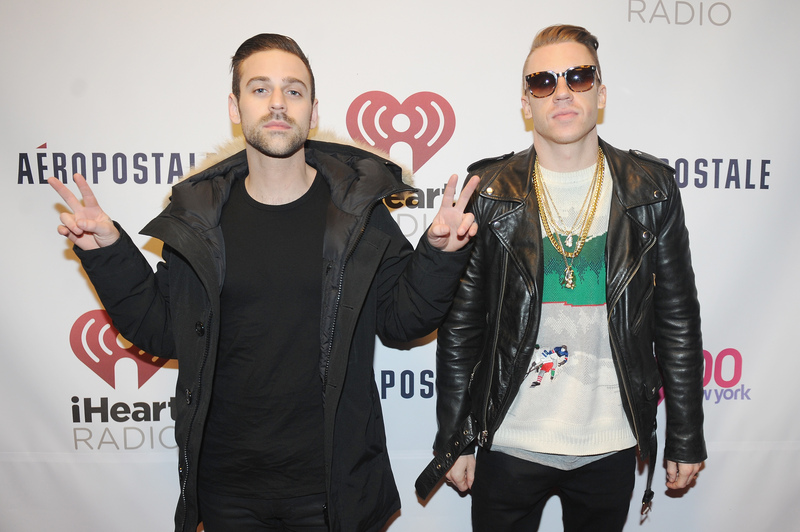 Check out Macklemore and Ryan Lewis performing on a bus for yourself below.